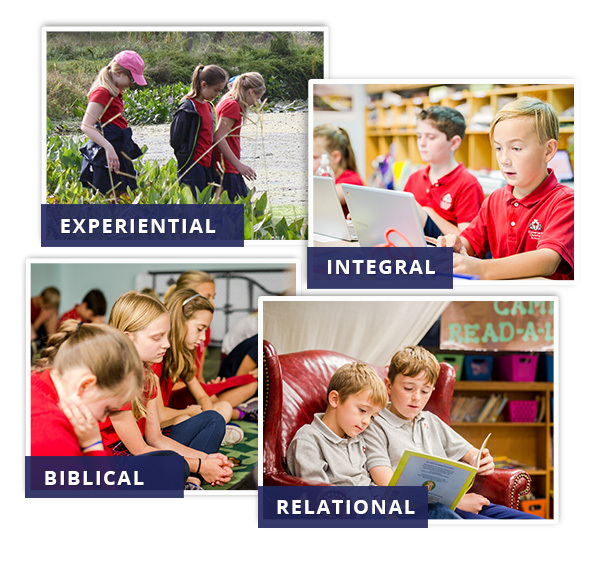 We invite you to visit the school and see what makes Covenant different. We invite you to visit the school and see what makes CCSSTL different. Wonderful Bible-based school. Teaching children the very best of everything. Would greatly recommend it to all Christian families with children K-6th grade. All the teachers we have ever had at Covenant have been wonderful. An innovative, yet nurturing, campus environment. Kids spend a great deal of time working and playing in outdoor classrooms and spaces. Covenant is a hidden gem. Highly recommend! Our children are thriving in a small, challenging environment that teaches the gospel, strong academics and focuses on each child individually. We can't be happier with Covenant for our children. This school provides not only an amazing academic education, but encourages heart and character growth in a loving environment. We continue to hear from those who know grads from this school how amazing the hearts of these students are displayed out in the "real" world. The teachers, staff, and fellow students are simply wonderful. What an awesome school! We have had terrific experiences here. It's a school filled with an atmosphere of Grace, a high commitment to educational standards, and just plain fun. Teachers are superior in ability and strength of their faith, which sets a terrific environment for learning and growing both in academics and in the child's Christian walk with the Lord Jesus. Grace-based education: this school is one of a kind. Seeking not only to grow our children in their faith but to foster a solid desire to grow by learning through experience. You will find a combination of the traditional as well as experiential focused education. Our experience has been amazing since our first time setting foot on campus. This academically excellent school thrives on biblical principles, and academic excellence. We have three children attending and we couldn't be happier. Our kiddos are always exploring outside during their two recesses per day. When we started hearing that students graduating from Covenant have a distinctive difference in their servant-heart toward other students and their understanding of the Gospel -- it became a no brainer decision for us. We have been at this school for 3 years now and it is truly one of the best decisions we have ever made. We are already seeing that "heart training" taking shape in our child and we could not be more thankful to Covenant for their amazing staff/teachers/leadership from the Head of School in training kids not just in an academically-excellent way, but in a heart-training way. Wonderful school! Grace is displayed beautifully here.